Even if the period of great new finds of Bach's works is over there are still many discoveries to be made in the manuscripts that have come down to us. 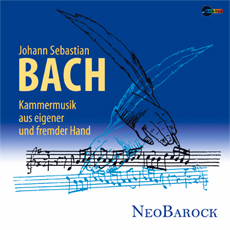 Bach's instrumental works often exist in different versions but the reworkings do not mean that the original compositions have lost their artistic merit. One of the most recent example is the Ouverture in A minor, a reconstruction based on the Ouverture in B minor (BWV 1067). Don't miss the world premier recording by NeoBarock!